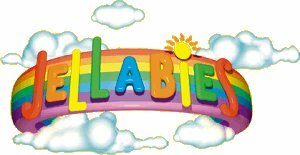 Jellabies is an Australian TV series that was produced by Winchester Entertainment. It originally aired on ABC Kids in Australia. It then aired on Fox Family Channel in the United States, Treehouse TV in Canada, Kindernet in The Netherlands, and GMTV in the UK under the name Jellikins. The series ran from 1999-2003. The animation for the series was done by Johnny and Mikel Lewis using 3D Studio Max. It features six rubbery, brightly colored little beings named Pepper (red, the leader), Bouncy (yellow, drives a bumper car), Strum (purple, musician), Denny (blue, lives on a boat), Amber (orange, owns a hot-air balloon), and Coral (pink, lives in a Meccano-set-style playhouse). They all live in the Jolly Jelly World, where they are apparently in charge of creating rainbows for the entire Earth using a special machine. Their occasionally-seen friend Duffy the Dragon lives in a remote cave and is the only character in the show who isn't a Jellabie. 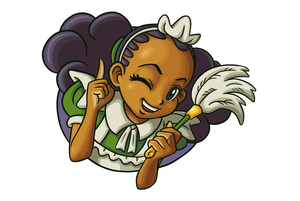 The series focused on the characters having different small everyday experiences in their downtime from rainbow creation, such as learning to plant seeds, giving gifts, and putting on a circus. Of the 95 episodes, none are available in English as Jellabies, as those were taken down from YouTube some years ago. A few Jellikins episodes, however, exist online, but the UK broadcasts changed the design of the characters. The only Jellabies episodes found so far are in Dutch. It should also be worth noting that a commercial in French, a commercial in Korean, the opening in German, and the opening in Hebrew exist.